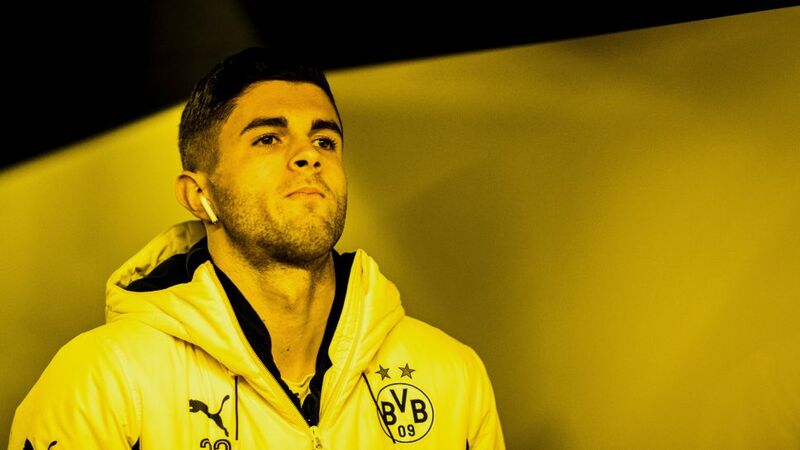 Bundesliga | Borussia Dortmund's Christian Pulisic: "Being smaller made me more skillful"
Borussia Dortmund's Christian Pulisic: "Being smaller made me more skillful"
He may not have the physique to compete with the biggest defenders in the game, but Borussia Dortmund's Christian Pulisic nevertheless believes that his relatively slight 5'10" frame has helped him become a better player. The USA international winger, who has provided an assist in each of his club's last two Bundesliga games to help them climb back up to third in the standings, is currently preparing to face Atalanta in the UEFA Europa League round of 32. "I've always played against bigger guys and was always the smallest out on the pitch," the 19-year-old said in an interview with the official UEFA website in the build-up to the tie, recalling his early days as a youngster in his native Pennsylvania. "I had to think a lot quicker and make better use of my technique and abilities in order to get past them. That made me a much more skillful player." There is no denying Pulisic's gifts. He has eight goals and 11 assists in 58 Bundesliga outings to date, while his velcro-like touch, pace and willingness to run at his marker mean he is an awkward customer even for the most experienced defenders. Now a bona-fide first-team regular at Dortmund, his blistering rise into the global elite has happened in just three short years after joining the club's youth academy in 2015. "It was an opportunity I didn't want to miss," Pulisic said. "I knew a bit about their history and what Dortmund does to develop young players. I was a little bit scared about moving to Europe and I knew it wouldn't be easy […] but it was something I just needed to do." He was invited to train with the first team just a few months after making the move across the Atlantic, and he still recalls the moment vividly. "I'll never forget it, I was just really excited," the 20-time USA international said. "I tried to stay cool but it was just a great day. Going in there and seeing Marco Reus and Pierre-Emerick Aubameyang, getting tackled by Mats Hummels – that was definitely a shock at first, but it was really cool." Pulisic has been one of Dortmund's most reliable performers in what has been an inconsistent campaign thus far, with centre-back Sokratis the only outfield player to have enjoyed more minutes out on the pitch. And while Dormtund's recent form has been much improved – they are unbeaten in 2018 and have won their last two Bundesliga games – their early season wobbles meant they were eliminated from the Champions League, leaving them with a spot in the Europa League as a consolation. Not that Pulisic and Co. will be taking the competition, or upcoming opponents Atalanta, lightly: "We want to win the Europa League. We want to go out there and show we're the best team in the competition. That's the attitude we have going into every game. I'm expecting Atalanta to be strong at the back. They'll make life difficult for us all over the pitch and we'll definitely have to fight if we want to progress to the next round." Watch: How does Pulisic handle our quickfire questions in 60 seconds? Click here to follow Borussia Dortmund vs. Atalanta live!